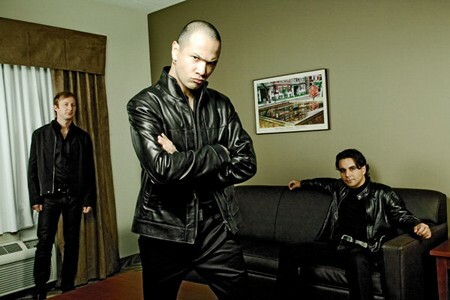 Danko Jones is a Canadian hard rock band, originally formed in Toronto, Ontario. The trio have spent years working and touring around Canada, the US and Europe entertaining their fans. Their work has been recognized by having been nominated for a prestigious Juno award on several occasions. The band has earned opening slots for such acts as the Rolling Stones and more recently with Guns N’ Roses. Sleaze Roxx caught up with bassist John ‘JC’ Calabrese earlier in the year as the band was touring in Europe. Sleaze Roxx: Tell us a few of your highlights of 2010? John ‘JC’ Calabrese: For me, touring with Guns N’ Roses and hitting 10 different countries was a highlight — in particular playing in Moscow and St Petersburg. Sleaze Roxx: What’s the plan for 2011 then? What can we anticipate? John ‘JC’ Calabrese: More touring and more rock! Sleaze Roxx: Go back some years, what got you interested in music and influenced you to pick up the bass? John ‘JC’ Calabrese: For me it was the music, and the dream that I could travel around playing it. Sleaze Roxx: During those years what sort of music were you listening to? John ‘JC’ Calabrese: I listen to all kinds of music, from Coltrane to Slayer, Mingus to the Dwarves, Townes Van Zandt to Rino Gaetano. Sleaze Roxx: What’s floating your boat musically nowadays? John ‘JC’ Calabrese: Robyn (Miriam Carlsson). Sleaze Roxx: How would you describe the sound of Danko Jones? John ‘JC’ Calabrese: Simply, straight-up rock and roll! Sleaze Roxx: If you had to pick one song from any of your albums that represented the band, what would it be and why? John ‘JC’ Calabrese: I’m Alive And On Fire. It was one of the first tunes written, simple, which says it all really in the title. Sleaze Roxx: How did you meet Danko? How did the band get started? John ‘JC’ Calabrese: We met after our mutual bands had done their run gigging around town and started the band. Low and behold that was 15 years ago. Sleaze Roxx: Danko Jones has a reputation as a hard working band that’s always on the go. Was that something you decided to do as opposed to the usual recording, touring, time off cycle that typically happens? John ‘JC’ Calabrese: Not consciously, but it is what has been working best. Actually it is the only way we know how to work, we constantly tour and always stay busy. We are the constant underdog. Sleaze Roxx: The band has a massive following here in Europe as compared to back home. Why do you think that is? John ‘JC’ Calabrese: More people in a smaller land mass! Sleaze Roxx: Was that a reason for the Canadian only release of ‘This Is Danko Jones’? John ‘JC’ Calabrese: That was nothing more than to bring people who never heard of the band up to speed on the band. Sleaze Roxx: How does the creative process in the band go? Is it collaborative or do you all do your own thing? John ‘JC’ Calabrese: I would assume as far as song writing goes, Danko and I get together in a room and patch a tune together. Have a skeleton of it arranged, then we lay a rough mix of it and let it live for a while and if it sticks in the end we record it. Sleaze Roxx: For the record, what is Danko’s fascination with Cadillac’s? Sleaze Roxx: ‘Below The Belt’ again saw an increase in the quality of the overall album, from the songs right through to the production. What’s your view on the evolution of the band over time? John ‘JC’ Calabrese: Yes, and I think it’s because we keep getting better. Sleaze Roxx: Any plans for the release of a live album? John ‘JC’ Calabrese: None, come and see the band! Sleaze Roxx: You went for a high production video for ‘Full Of Regret’ which looked fantastic and had some big name stars in it. Tell us your recollections of that time. John ‘JC’ Calabrese: We flew to LA and made a video with all involved and it was a great experience. It turned out to be the best video we have made to date! It was an honour to have Elijah Wood and Selma Blair involved. And then the cherry on top was having Lemmy and Mike Watt! Sleaze Roxx: You and Danko survived. Did Dan get the short straw? John ‘JC’ Calabrese: Dan is the luckiest of them all. Sleaze Roxx: Speaking of Lemmy, you opened for Motorhead on a previous tour. Tell us a Lemmy/Danko Jones story. John ‘JC’ Calabrese: Lemmy took us on tour and Lemmy is God. He came to one of our gigs about 7-8 years ago in London at the Barfly in Camden. After the gig he took Danko and I out to a party and later in the evening we ended the night at Stringfellows. Lemmy is a gentleman and the last true rocker. Sleaze Roxx: Any chance of coming back to Glasgow on tour again? John ‘JC’ Calabrese: Would love to come back there again, I sorta miss it there. I’ve been there with Backyard Babies and Motorhead now… Apparently King Tuts has some tight arsed neighbours and there are fewer gigs there. We always loved playing that room. Sleaze Roxx: If you had a choice of bands to go out on tour with, whom would it be and why? John ‘JC’ Calabrese: AC/DC because we never toured with them and love them. Sleaze Roxx: Crazy fan story time. Tell us your own favourite please. John ‘JC’ Calabrese: Someone looked me up in the phone book and knocked on my door asking me to go for a drink… weird. 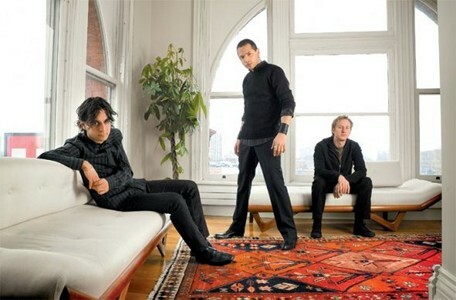 John ‘JC’ Calabrese: Danko Jones (band): my band! — Invisible: one of our songs! — Ice Hockey: very boring, followed by many Canadians! Sleaze Roxx: I can’t let you away without a story about Mr. Jones himself. Tell us something never told before. John ‘JC’ Calabrese: He doesn’t know I am doing this. Sleaze Roxx: It’s been an absolute pleasure JC. Finally, what would you like to say to your fans? 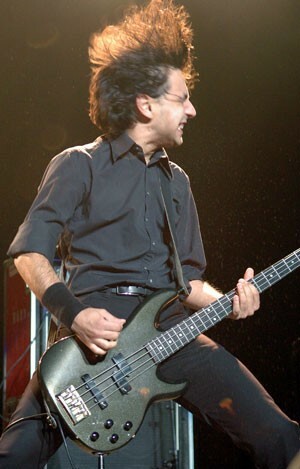 John ‘JC’ Calabrese: Please check out www.dankojones.com for the latest on the band. Cheers!